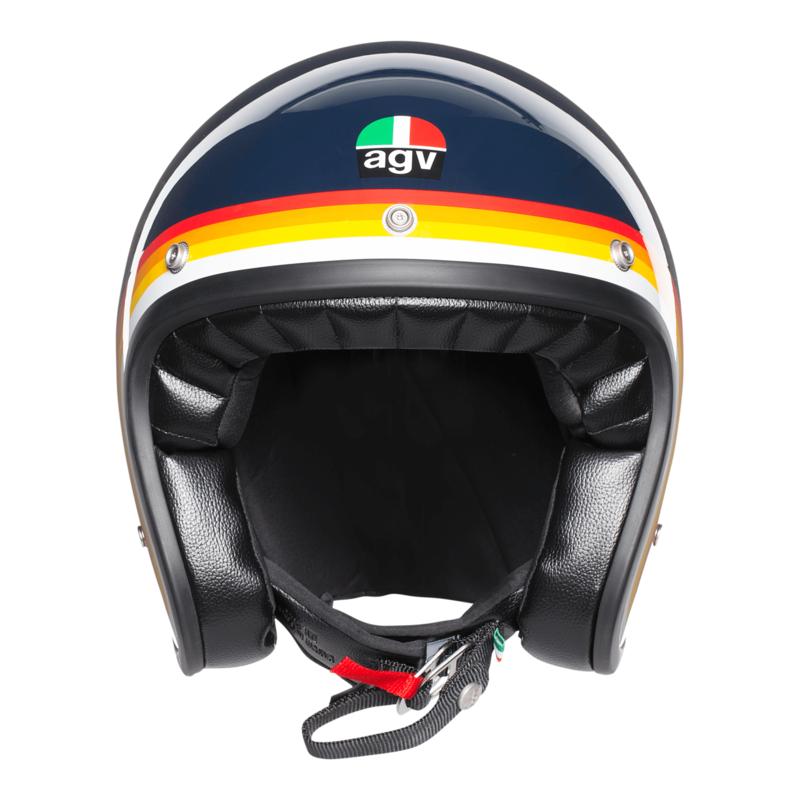 The AGV legends collection is expanding. 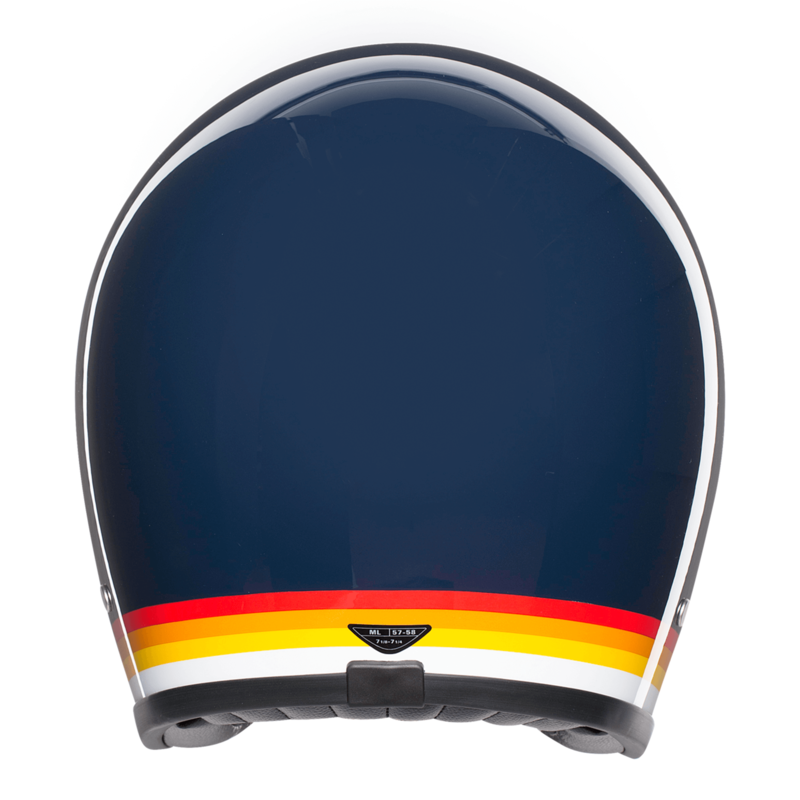 Introducing the new and stylish AGV X70 Riviera. 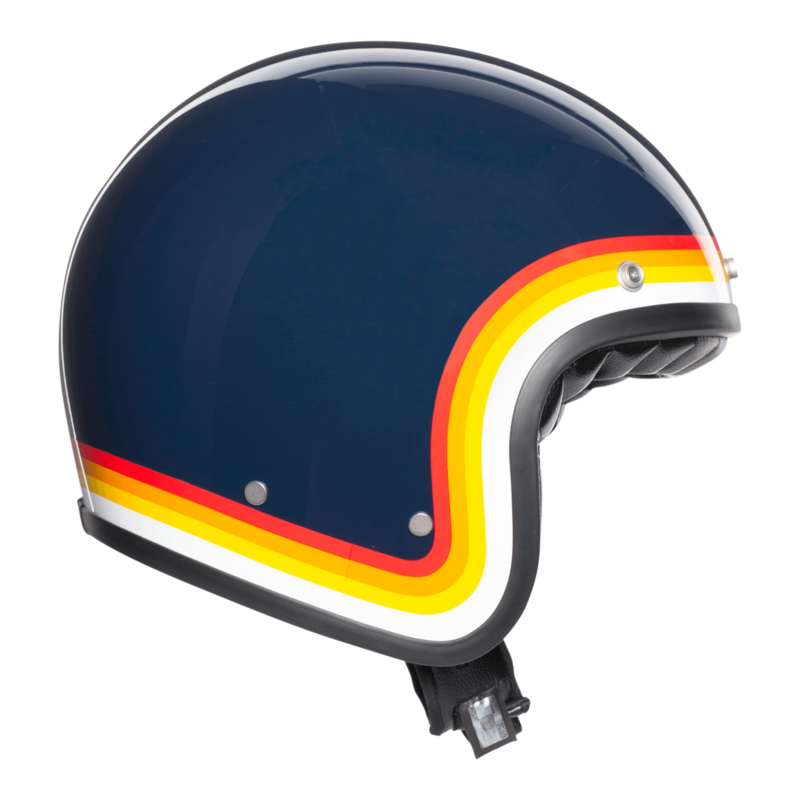 The perfect choice for any rider who want to combine safety with style. Shell in fibreglass with 2 colour profile in 3 sizes, EPS structure developed in 3 sizes. Premium interiors with genuine leather, suede fabric and embroided logo. 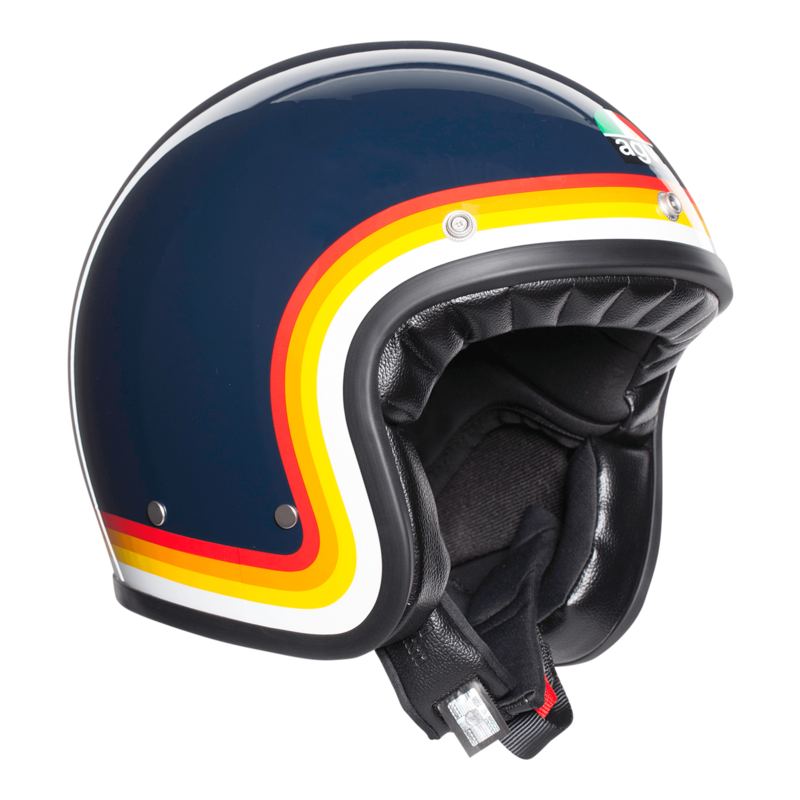 (Replica Pasolini, Mono Matt Black Gold). Standard interiors with Eco-leather, smooth fabric and embossed logo (all other graphics). Fully removable and washable interiors (neckroll excluded).